Delta Force Paintball is Australia’s largest Paintball company, with venues in all Australian capital cities. This new addition to the soon-to-open Paintball Theme Park in Brisbane, cost in excess of $60,000 and will be the signature piece of the facility. 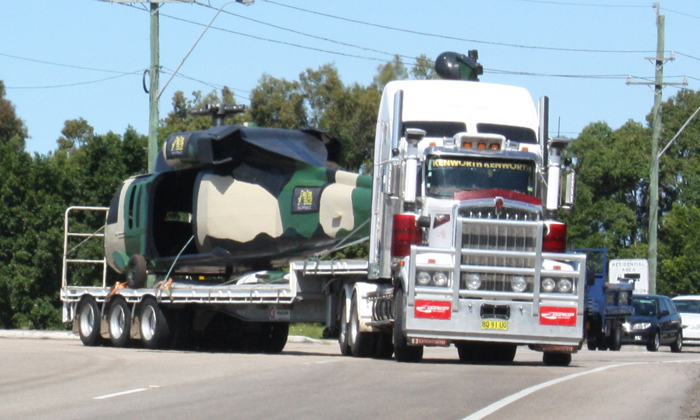 The Blackhawk Helicopter measures 18m in length and has a 16m rotor span. The chopper weighs just over 2 tonnes completely assembled and it can comfortably fit up to 15 paintball-ready troops! The UH-60 Blackhawk Helicopter earned its reputation during the Gulf War. 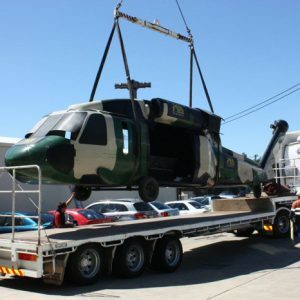 A powerful war machine that epitomises modern military mobility, the Blackhawk has become the stalwart of many armies due to dramatic improvements in troop capacity and cargo lift capability, The Australian Army operates Blackhawk helicopters for both wartime and civil operations. 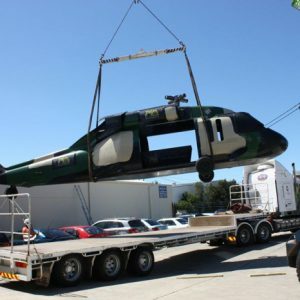 This amazing prop will be passing through the inner suburbs of Brisbane around 9am on the morning of Wednesday 20th March 2013. It will surely be a sight to behold as it crosses the Gateway, Storey and Captain Cook bridges.